Good News! 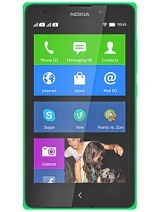 WhatsApp is available now for Nokia X to download. 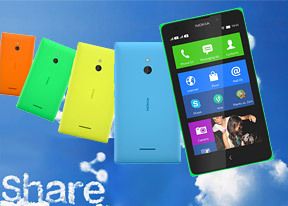 WhatsApp is available for Nokia X.
Q: Is WhatsApp available for Nokia X (or X+ or XL or X2)? Q: How can I get WhatsApp on my Nokia X? A: You can download WhatsApp from www.whatsapp.com/android. Q: Is the WhatsApp application available from other sources? Can I go elsewhere to download it? Q: How do I download and install WhatsApp to my Nokia X? 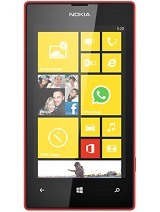 Q: Can I get WhatsApp through Nokia Store? A: No, you can download WhatsApp from www.whatsapp.com/android. Q: Can I get WhatsApp through 3rd party stores integrated with Nokia Store? Q: I’m in Nokia Store but can’t find WhatsApp when I search for it. Where is it? I bought this NokiaXL and 2days after,it developed something like mouthpiece problem;I took it to NokiaCare here in Abuja through the marketer I bought from.I want to know when,how and in what condition wld the phone return back to me??? I bought this phone and 2days after it developed something like mouthpiece problem,I gave it NokiaCare but I have not been called for the feedback.I need a new phone that wld not give me this kind of problem pls. 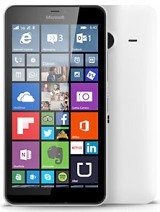 can we work Excel, Powerpoint and MS word on Nokia XL and Lumia 625? 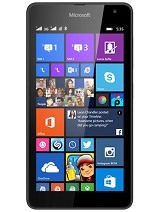 ahmadkafi70, 02 Sep 2014Nokia XL is worst phone, no whatsapp, we can't transfer file from phone to memory card and it ... moreoh. Please don't provide wrong info like that. All your words are NOT correct. I myself used this device. XL can run whatsapp+ easily. Transfer file from internal storage to SD card easily, it works like a charm. How can you say that an Android Phone cannot do that stuffs???? someone tell me that it is supported google play store, hd video song or not.